A Federal Trade Commission hearing Wednesday, the first of 15 to 20 over the next several months, is part of efforts underway on the federal and state level that threaten to limit the expansion and power of U.S. tech companies. WASHINGTON — For years, Google, Facebook, Amazon and Apple have fought regulators in Europe on privacy, antitrust and tax issues. In the United States, the tech titans were on friendly terrain. 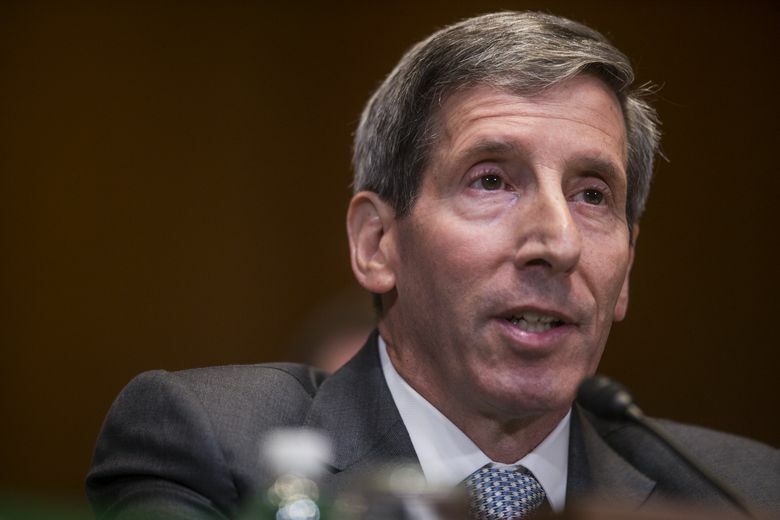 But on Thursday, the Federal Trade Commission kicked off a series of hearings to discuss whether the agency’s competition and consumer-protection policies should change to better reflect new technologies and companies. Joseph Simons, the agency’s chairman, expressed openness to a new approach. The FTC hearings, the first of 15 to 20 over the next several months, are one of several efforts underway on the federal and state level that threaten to limit the expansion and power of tech companies. Later this month, Congress will bring executives from top tech companies to testify on proposals for privacy laws. The Justice Department has warned it may start investigations into whether Google and other social-media sites are biased against conservative voices. New regulations in the United States are unlikely to arrive anytime soon, and any new federal policies will probably be weaker than those in Europe and states like California. Tech companies have lobbied the Trump administration for voluntary rules, and government officials have indicated their desire for light-touch regulation that would pre-empt some state laws. “It will be a slow-moving ship, faster on privacy than on antitrust, but it’s an important moment,” said Blair Levin, a senior adviser at the research firm New Street and a former chief of staff at the Federal Communications Commission. One proponent of this change of thinking, Lina Khan, is an assistant to a Democratic commissioner at the FTC. Her focus on Amazon has been buoyed by Sen. Bernie Sanders, I-Vt., who has criticized the company and its chief executive, Jeff Bezos, for contributing to income inequality. “The issue about Amazon is not just that the wealthiest person on earth, Jeff Bezos, is paying workers unlivable wages. It’s about the ‘new economy’ and the degradation of the human spirit — breaking down people, spitting them out and simply replacing them with new bodies,” Sanders said last week in a tweet. Amazon has disputed Sanders’ accusations, saying the company offers stable pay and benefits for its employees. It has also disputed concerns the company has violated antitrust laws, saying it does not have a dominant market share of the retail market. “These concerns raise a challenge to antitrust agency leadership, the courts and legislators,” Simons said Thursday. Companies have argued against broad changes. Google, for instance, says it offers free search services and that consumers can easily switch to rival search engines online. Companies argue that the tech market is fast changing and regulations could quickly become outdated. The FTC hearing, held at the Georgetown University School of Law, was filled with antitrust lawyers, some of whom had ties to the tech companies. Many warned that changes could make decisions on mergers and antitrust enforcement vulnerable to politics. Janet McDavid, a panelist at the FTC hearing and a lawyer at Hogan Lovells, said simply going after companies because they were big was dangerous. The “amorphous” concepts of big and fair in antitrust law could lend itself to political decisions, McDavid said.